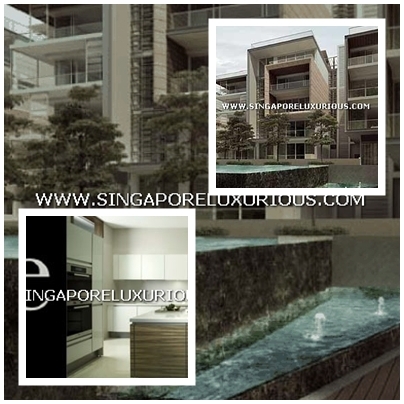 Sage @ Nassim A freehold apartment development located at 11, 13 Nassim Road Singapore 258379, in district 10 * Completed in 2012, comprises of 33 units Condo Facilities at Sage @ Nassim. Helios Residences is a freehold development located at 15 – 17 Cairnhill Circle, Singapore 229815, in District 09, minutes away from Newton MRT Station. It comprises 140 units and the expected completion date is in 2011. Helios Residences is close to the famous Newton Hawker Centre and Fort Canning Park. Helios Residences has full facilities, which includes swimming pool, BBQ pits, gym, Jacuzzi, multi-purpose hall, and a playground. 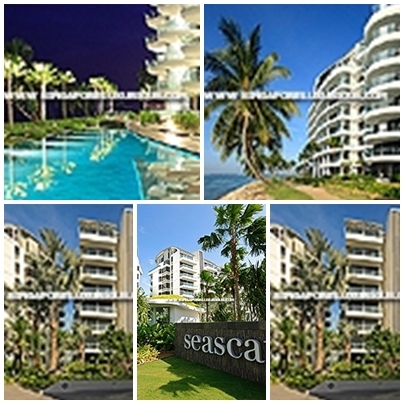 Seascape is a 99-year leasehold apartment development located at 55 Cove Way, Singapore 098307 in District 04 minutes drive toHarbourfront MRT Station. With expected completion in 2012 Seascape is close toHarbourfront and Vivocity. Facilities at Seascape will include wading pool , clubhouse , gymnasium , forest pool , great deck , function room , party terrace , ocean terraces , sky pool and palm garden. Seascape is also close to eateries and restaurants located at harbour front such as FOS and Sakae Sushi. Residents can head down to the nearby shopping malls like Vivocity for amenities such as supermarkets, restaurants, banks, movies, and more. In addition, it is within reasonable driving distance to Vivocity andharbourfront centre. 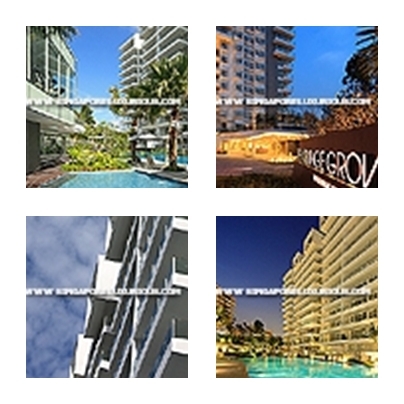 Turquoise is a 99-years leasehold development located at 51 and 55 Cove Drive, Singapore 098393, in District 04. Situated on Sentosa Island, it is minutes drive to Harbourfront MRT Station, which is on the mainland. It comprises 91 units and the expected completion date is in 2010. Turqoise is close to Vivocity and the upcoming Integrated Resort. There are numerous recreational facilities and activities to do on Sentosa Island, such as the aforementionedIntegrated Resort, and the 18-hole Sentosa Golf Club. There are also numerous restaurants and eateries sprawled across the island. For vehicle owners, driving from Turqoise to either the business hub or the vibrant Orchard Road shoppingdistrict takes 25 – 30 minutes, via Eu Tong Sen Street and Tanglin Road respectively. Marina Collection is a 124-unit condominium located at 19 Sentosa Cove in District 4 of Singapore. Its expected completion is in 2011. Marina Collection features 40 private berths, swimming pool, sun deck, landscaped gardens, and other facilities. Living in the exclusive Sentosa Cove area is definitely a privilege with all the elite clubs, restaurants, and recreational facilities surrounding it. Spend a Sunday with your golf buddies at the Sentosa Golf Club, pamper yourself at the Sentosa Resort & Spa, or spend a day with your family at the Seven Eden Aesthetic Centre. For the gourmet epicurean, indulge in the wide range of restaurants that will fulfill any appetite. Some of these restaurants include Il Lido Italian Restaurant, Nogawa Japanese Restaurant, The Pavilion, and The Cliff. Marina Collection takes luxury living to an unprecedented level. You get only the best of everything. Belle Vue Residences is a condominium located at 15 Oxley Walk Singapore 238590 in District 9 near Dhoby Ghaut MRT Station. It is expected to be completed in 2010, and will offer a total of 176 units. It is within close proximity from Park Mall and Orchard Grand Court. Belle Vue Residences will offer full condominium facilities such as a clubhouse, function room, gymnasium, Jacuzzi, lap pool, swimming pool, lounge, playground, and steam bath. With these decadent facilities, home will feel like a holiday villa! Just walk down any of the vast number of malls that line the street such as Plaza Singapura, Concorde Shopping Mall, Cuppage Plaza, and Centrepoint Shopping Centre. Lugging your shopping bags will no longer be a chore when home is just a few minutes away! Standing tall in the town area which plays host for amenities ranging from food, shopping and, entertainment, Belle Vue Residences promises the excitement of a city life. Grange Infinite is a freehold development coming up at 27 Grange Road Singapore 239700 in District 10 nearSomerset MRT Station. It is expected to be completed in 2011 and will house a total of 68 units. Grange Infinite will offer its inhabitants a lap pool, spa pool, wading pool, sun tan deck, private retreat corner, outdoor dining court, children’s’ play area, lawn, and gymnasium. Situated in the town area definitely has its privileges. This is especially true for the residents of Grange Infinitewhich is within walking distance to Orchard Road, Singapore’s world famous shopping belt, home to the trendiest bars, bistros and boutiques. Parents need not worry as there are plenty of schools in the vicinity as well. River Valley Primary School, Anglo-Chinese Junior School, Saint Margaret’s Primary School, and Raffles Girls’ Secondary School are some of them. Grange Infinite is easily accessible via Somerset and Orchard MRT Station. The Orange Grove is a freehold development located at 38 Orange Grove Road, Singapore 258364, in District 10, minutes away from Orchard MRT Station. The expected completion date is in 2010, it will stand 12 storeys tall and comprise 72 units. The Orange Grove is close to Gleneagles Medical Centre and Singapore Botanic Gardens. Facilities at The Orange Grove include a lap pool, BQ pits, gym, jogging track, and clubhouse. A few feeder bus services are available near The Orange Grove. It is also close to several good schools, such asRaffles Girls’ Secondary School, Anglo-Chinese School, and Singapore Chinese Girls’ School. The Orange Grove is also within walking distance to the stretch of eateries and restaurants located at Orange Grove Road. Residents can head down to the nearby shopping malls like Delfi Orchard or Tanglin Shopping Centre for daily necessities and more. In addition, it is within reasonable driving distance to prestigious clubs like The Pines Club, Premier Club, and Tanglin Club. For vehicle owners, driving from The Orange Grove to either the business hub or the vibrant Orchard Road shopping district takes 10 – 15 minutes, via River Valley Road and Orange Grove Road respectively. Skypark @ Somerset is a freehold development located at 22 Saint Thomas Walk Singapore 238107 in District 9 near Somerset MRT Station. It is expected to be completed in 2010 and will comprise a total of 29 units.Skypark @ Somerset is close to Orchard Grand Court and Cathay Cineleisure Orchard. Skypark @ Somerset is close to a wide range of amenities including eating establishements, hawker centres, convenience stores, supermarkets, banks, ATMs, clinics, and shopping malls. Skypark @Somerset is also close to reputable schools such as River Valley Primary School, Chatsworth International School, and Overseas Family School. Skypark @ Somerset can be easily accessed via Somerset/B>, Orchard, and Dhoby Ghaut MRT Stations. A home in the heart of the city, with an address next to the thriving Orchard Road, you have every convenience to shop at top designer boutiques, lounge back at chic cafes, and dine at 6-star hotels. At Paterson Suites, a world of excitements is literally just a few steps away. All because you are not part of the city – the city is part of you. Surround yourself with elegance, come home to the rustling sounds of cascading waterfalls, glistening water of seamless pools, and crystal-like dews of lush greenery. Your mind feels resplendent. Your spirit calmed. Your soul serenaded.